Once you acquire the names of several providers, you will want to learn more about their services and reputations. Following is a checklist of questions to ask providers and other individuals who may know about the provider’s track record. Their insight will help you determine which provider is best for you or your loved one. 1. What is the background of your company? Search out the history and ownership of the company. What type of license do they have? Find out who owns the company and weigh how the ownership affects the company?s service and reliability. Is this agency backed by a nationally strong firm? Is it reputable and in good standing? Is it involved in professional organizations? The number of years an agency has been in business is not always pertinent to the quality of care given, but it does reflect on the stability and success of the company. 3. What qualifications, certifications, experience and training do you require of your workers? Find out if caregivers? credentials are investigated. Plus, determine whether caregivers undergo a thorough, professional testing and screening process. Ask what ongoing training is provided. 4. Are your staff employees or contract workers? Are they insured and bonded? Ask about your personal liability and tax obligations if workers are contract employees. For your protection, ensure that all caregivers are insured and bonded by the home care agency. 5. How do you supervise your workers to make sure the proper care is given? Some agencies make scheduled quality assurance calls and visits. To further ensure quality care, see that all caregivers are regularly and closely supervised by a qualified companyrepresentative. 6. Will the same employee continue with my case? It is difficult to receive good care if different people show up every week. A good home care provider will be concerned with continuity of care. 7. Do you conduct a home visit before starting the home care service? 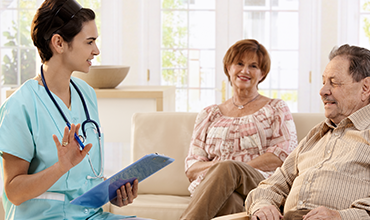 When choosing the home care services that are right for you, it is important that the patient and family members discuss the kind of care needed with a home care representative. This will help you determine whether the home care provider can meet your needs. 8. Do you work with my doctor in developing a plan of care? If you require care beyond that associated with activities of daily living, your doctor ought to be involved. Most agencies will work directly with your doctor in arranging and planning for your care. 9. Can you give me some references from doctors, hospital personnel or social workers? Ask for names of people, not just the name of a hospital or organization. One good question to ask these professionals or patients: ?Would you use this company again for yourself or your loved ones?? 10. Do you guarantee customer satisfaction? Find out if there is a length of time you will be committed to the home care provider even if you are unhappy with the care they are providing. 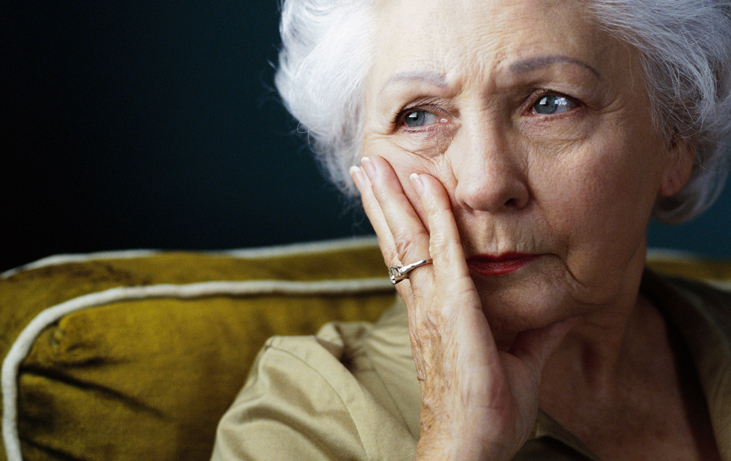 The home care provider should guarantee care and cancel charges for unsatisfactory service. To learn how we can assist you or your family member with the comfort and independence they desire. Copyright Assist Healthcare Services, Inc.